Wigan Warriors were this morning (Wednesday) still waiting to discover if their appeal against a points deduction had been successful. They presented their case yesterday (Tuesday) lunchtime and the independent panel didn't reach a decision by close of play. They were still deliberating this morning (Weds). They have up to 48 hours to deliver their decision - taking them to Thursday - but the verdict could be reached at any stage before then. There had been no hint this morning when it may be concluded. The appeal is being heard by Sport Resolutions, an independent dispute arbitration service, in Manchester. Wigan were handed the punishment on the eve of the new Super League season for breaking the salary cap by around £14,000 in 2017. The current Super League champions were also fined £5,000, half of which was suspended. 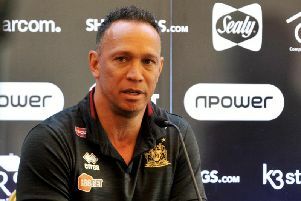 Adrian Lam's side beat Leeds in round two but because of the punishment, remain on zero points on the table along with Huddersfield - their opponents this Friday at the DW Stadium.